It was a couple of years since I'd last been to Area 52, but I remembered that the train station had free parking and that the venue was only a stones throw away. 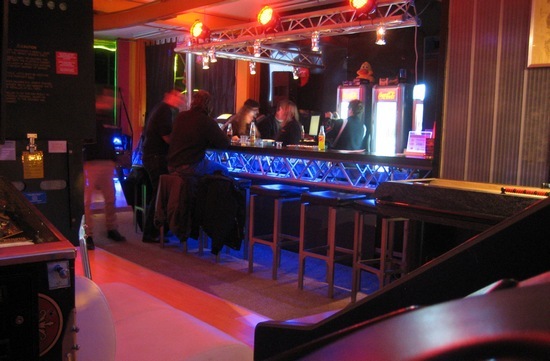 Arriving at the venue, I found that the layout had been altered a little; the bar was where the videos once were, the videos were where the lounge seats were, and the seating area seemed to have shrunk somewhat. 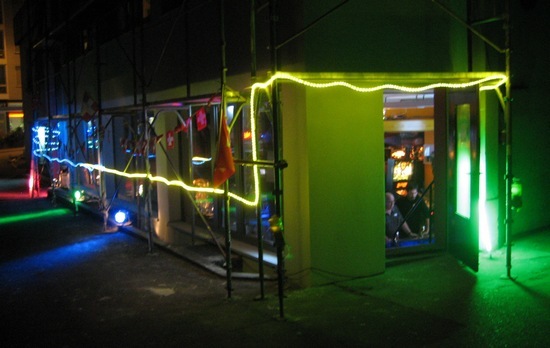 The building in which the venue is housed must have been some sort of light-engineering shop, as the ceiling is loaded with lifting beams and equipment, all painted in bright yellow paint. 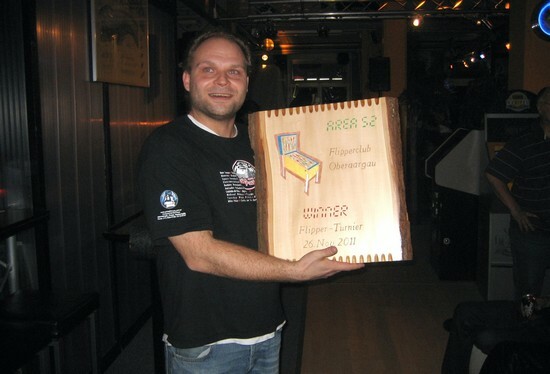 This Area 52 tournament hadn't been widely advertised outside of Switzerland (as far as I know) and so had mostly Swiss competitors, plus a handful of Germans, Poles, a Frenchman and me, the token Brit. 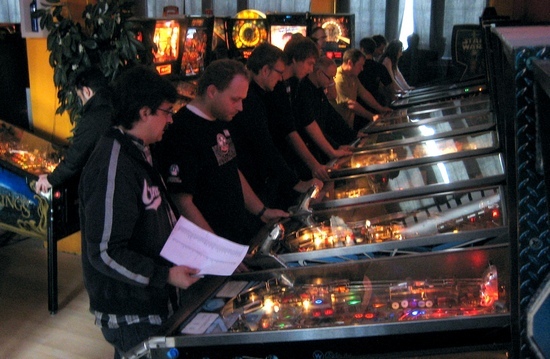 So, arriving early for once at about 1pm, I had a little time for a practice and a little socialising with some of the familiar Swiss pinball faces. 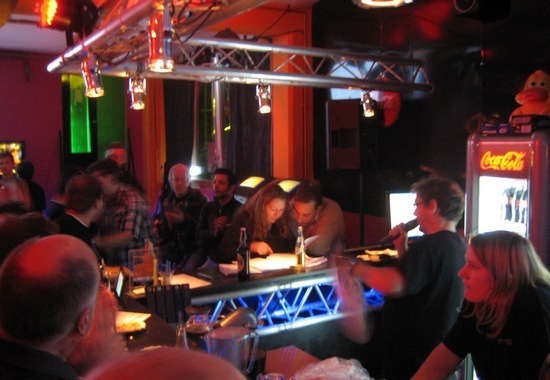 The place soon filled up with the 60 pre-entered competitors (minus a few drop-outs), each paying 20CHF (€16) for entry or 35CHF (€29) with evening raclette buffet. 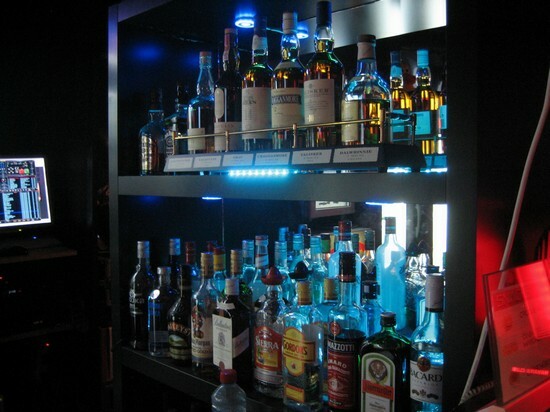 Alternative food was available in the local village if you didn't fancy that, and other bar snacks were also available from the well-stocked bar. So, after registration was complete, the regular Swiss "turnier meister" Robi Sutter gave everyone a rundown of the format and rules, and play commenced. As is often the case for Swiss tournaments, we were using the "Swiss System", which works well when you have a lot of machines and players in the same place for a long period. 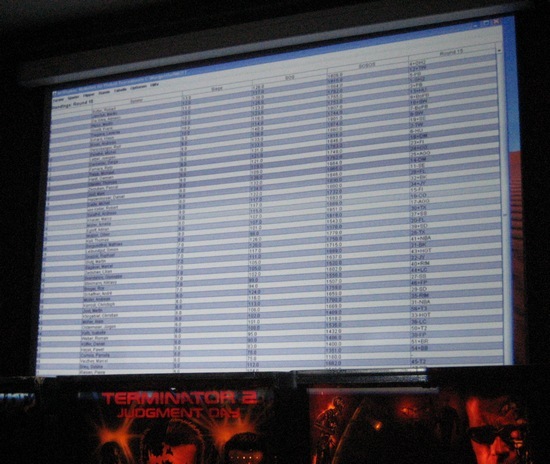 There was also a piece of paper under each machine for you to write and certify your scores, which would appear to have been used later on to calculate a Classics side-tournament result. 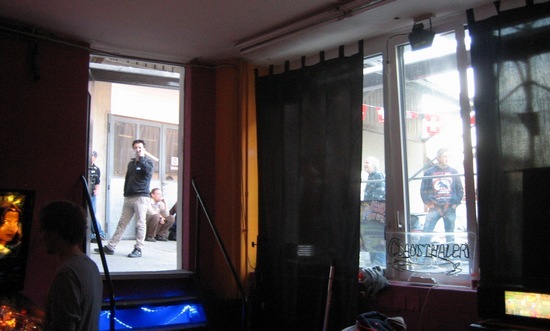 It's not always the case in Swiss tournaments, but the Area 52 venue was non-smoking, and so many of the players were popping outside between rounds for a crafty smoke. An alternative to popping outside for a break was to play on some of the video games, of which there was a good selection, and there was also a table football, shuffle ball, air hockey and, of course, an electric piano (which later on turned out to be the table upon which some record mixing decks were placed). Throughout the event there was music from the house sound system, supplying a good selection for everyone's taste, and I was particularly happy with the classic rock mix. 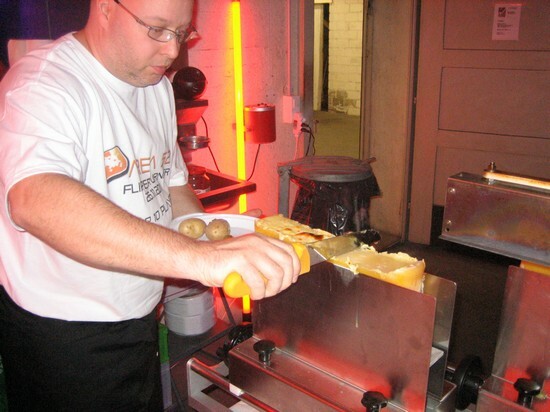 From 5pm onwards, the all-you-can-eat raclette buffet was available with potatoes and some pickles. As the day turned into evening and then into night, we hit the predefined 15 round qualifying mark sometime after 8pm. 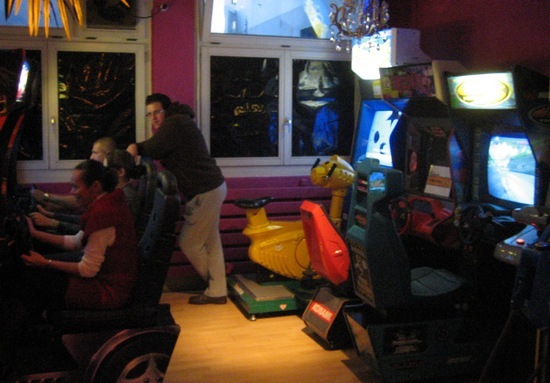 The tournament then moved into the finals, and everyone not lucky enough to still be involved was able to clear off home, or play the machines casually. At that point, due to my disastrous qualifying play for the past 6 hours (even by my regular poor standard) , I kind of lost interest in the tournament and decided that playing with my eyes closed, drinking Dr Pepper and polishing off some more raclette for the remainder of the evening was the appropriate path to follow. If only I’d come by train, instead of the car. 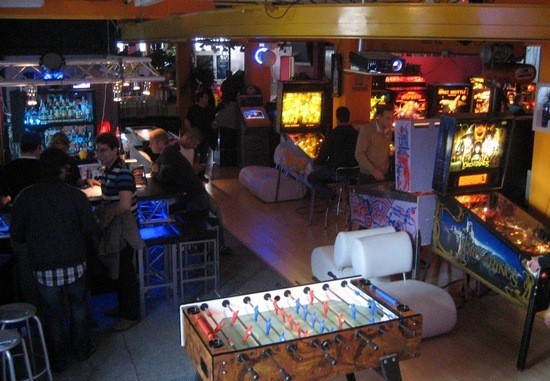 So, to sum up, Area 52 is a cracking venue for an evening out for any budding pinball player, and has plenty for your friends to do if they're not so addicted to the silverball. 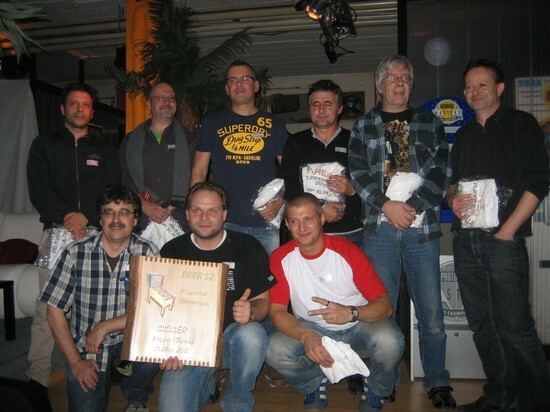 The 8-strong team keep the place very clean and tidy, the machine selection is varied and it has probably the most flexible opening hours of all the Swiss flipperclubs I know, opening to the public on Saturday, Sunday and Monday. It would seem that most of the team speak excellent English and several other languages as well. 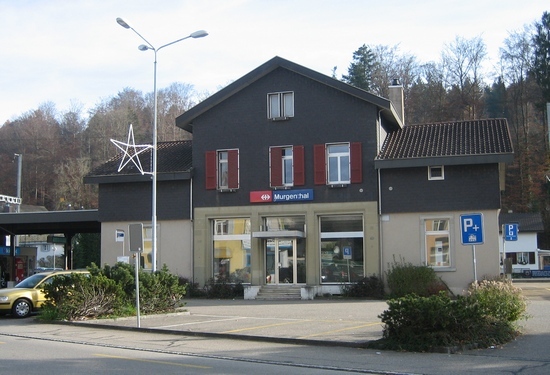 It's not even as far from Zurich as I remembered either, so I must find time for some more visits! 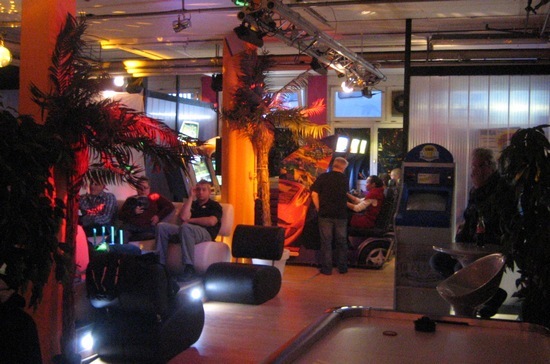 Area 52 is located in Murgenthal, Aargau, which is a very easy 40-60 minute drive from central Zurich, Basel or Bern. 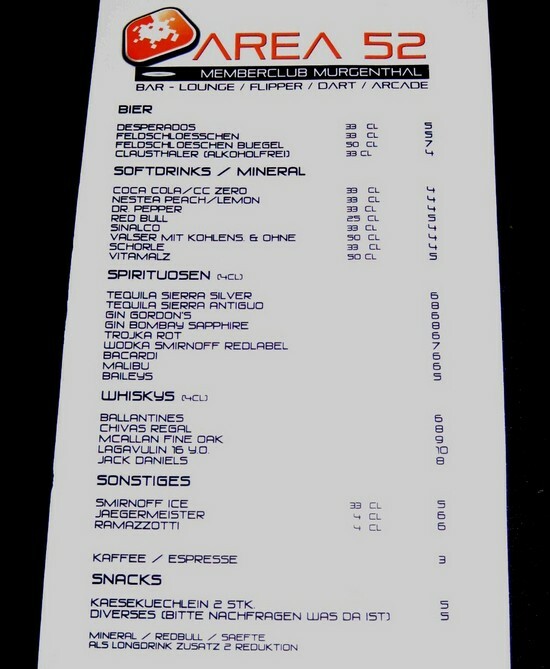 Be sure to check their opening times at their extensive website.